Alexandria, Va. –The manufacturing and service sectors are expected to increase hiring in February 2013 compared to one year ago according to a report from the Society for Human Resource Management (SHRM). The report shows that the service-sector hiring rate will rise for the seventh consecutive month compared with a year ago. The manufacturing-sector hiring rate will rise for the sixth time in seven months compared with a year ago. Respondents include HR professionals from 500 private service-sector companies and 500 manufacturing companies. On an annual basis—comparing February 2013 with February 2012—service-sector hiring will jump by a net of 12.2 points and manufacturing-sector hiring will rise by a net of 7 points. The January 2013 (the most recent month available) new-hire compensation index shows a net total of 7.3 percent of HR professionals in the manufacturing sector increased hiring packages as did a net total of 6.5 percent in the service sector. The recruiting-difficulty index for January 2013 (the most recent month available) shows a net of 7.9 percent of manufacturers had more difficulty filling key jobs compared with one year ago. A net total of 8.6 percent of service-sector HR professionals reported an increase in recruiting difficulty during January 2013 compared to one year ago. To read the full SHRM LINE Report, visit: http://www.shrm.org/line and click the “Latest LINE Report” button. 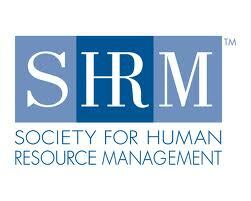 Follow SHRM Research on Twitter @SHRM_Research.